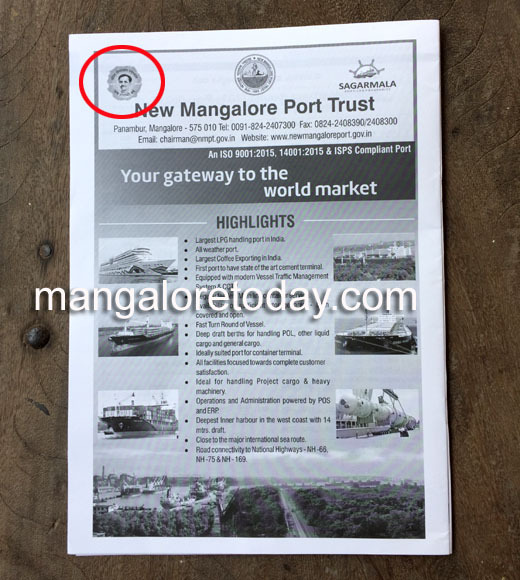 Mangaluru, May 02: In a bizarre move New Mangalore Port Trust seems to have decided to shelve the legacy of its founder-MP, Ullal Srinivas Mallya in order to please the central government. 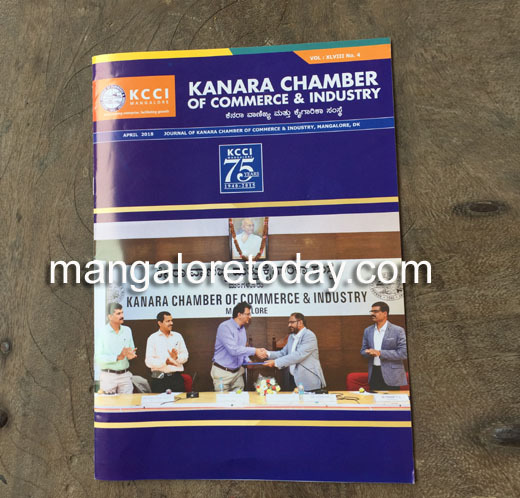 In an advertisement published in the latest issue of KCCI’s house journal, a portrait of former Jan Sangh leader Deendayal Upadhyay finds a prominent place in the top portion. 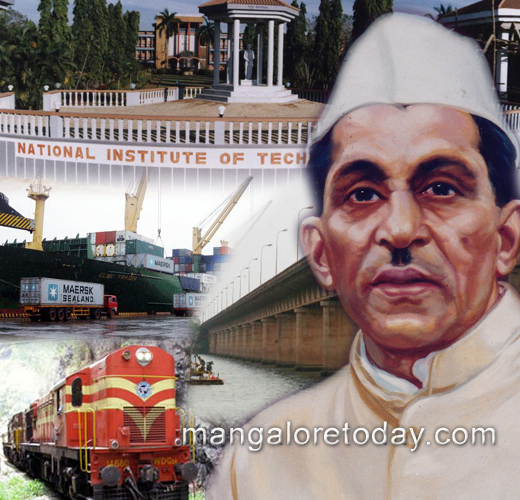 This place should have rightfully belonged to late Ullal Srinivas Mallya, the legendary first MP of this region who was responsible for bringing the port to Mangalore. 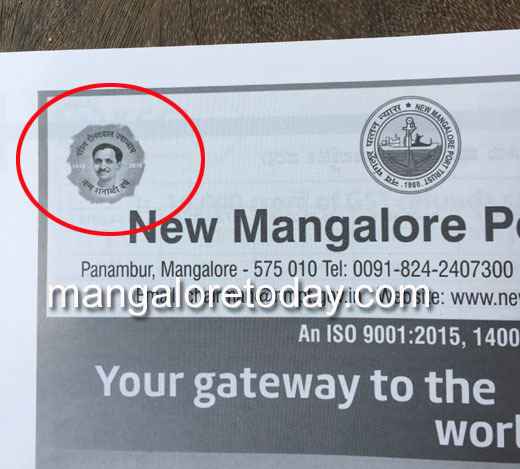 Avoiding Srinivas Mallya’s portrait and posting the picture of Deendayal Upadhyay instead, who has nothing to do with the port or with this region, is certainly a disgrace shown to the stalwart of Mangalore who lived and struggled to develop the city to what we are all proud of. Has this been done under instruction of the central government or was it the Chairman’s order to please his bosses in the Shipping ministry? – this is the question which begs for an answer. It is regrettable that in the case of the above NMPT advertisement, the promotion of hero cult has happened at the cost of effacing a revered regional hero like Ullal Srinivas Mallya.